I love designing cakes, but I especially love designing cakes within given parameters. Although I’m very flattered when a client trusts my artistry enough to leave the design completely up to me, it’s a bit daunting. 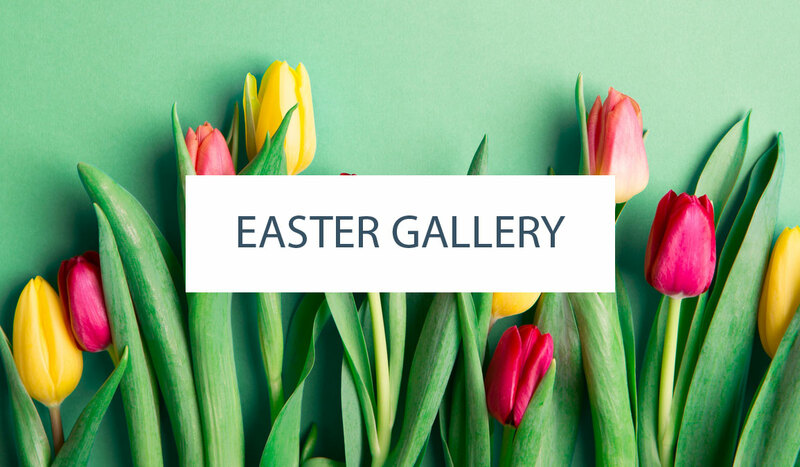 The idea of being able to do anything kind of overwhelms me. Instead, I work best when given some guidelines, some visual inspiration, and a look, mood, or feel to capture. That’s exactly what happened with this cake. Carrie, the editor and founder of The Cake Blog, asked me to create a cake inspired by flamingos. And then it was on. My grandparents, whom I was very close to, retired to Florida when I was nine years old. My sister and I visited them quite frequently, and SoFlo, as South Florida is now known, will always have a special place in my heart. 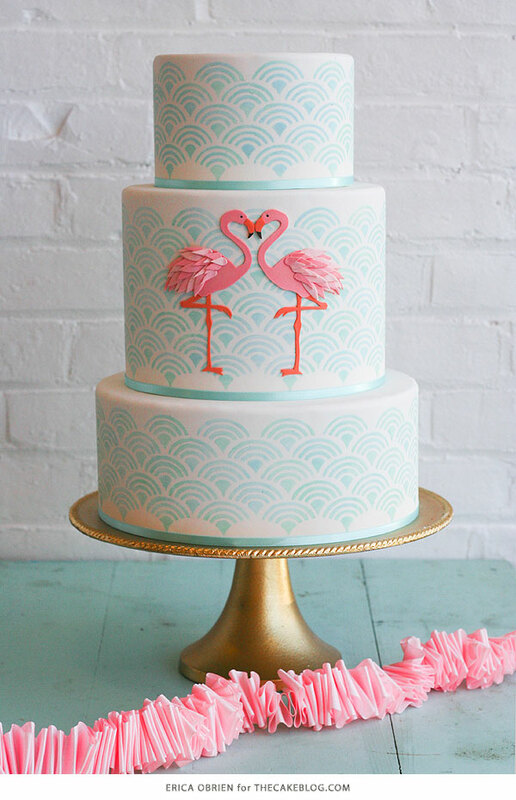 For this flamingo cake, I wanted the colors to read fun and whimsy and old school Miami. I figured I’d double up on the trends and incorporate a little watercolor with the flamingo. I found the stencil at a crafts store and thought it was perfect. I didn’t want to do an opaque royal icing stencil though. Instead, I wanted it to be somewhat transparent with some slight variation in color. We experimented with different application techniques until we came upon one that worked: a sponge dipped in petal dust that had been generously diluted with vodka. After stenciling all three tiers and allowing them to dry, we cut the flamingos’ bodies out of pink gumpaste. The beaks and legs were cut out of orange gumpaste. We attached the flamingos to the cake using edible gum glue (a mixture of tylose and water). The flamingos appeared a little flat, so to give them a little bit of dimension we cut wings out of three shades of pink gumpaste and adhered them with the gum glue. The result is exactly what we were after, a celebration cake that doesn’t take itself too seriously, is a little bit retro, and a lot of fun. I’m absolutely loving this! I too feel like I work best with a given set of parameter. I hope to try this watercolor stencil technique soon! I love this flamingo cake design cake! Wow! Its simple but stunning! Thanks for sharing. This is definitely a keeper for me to try on. 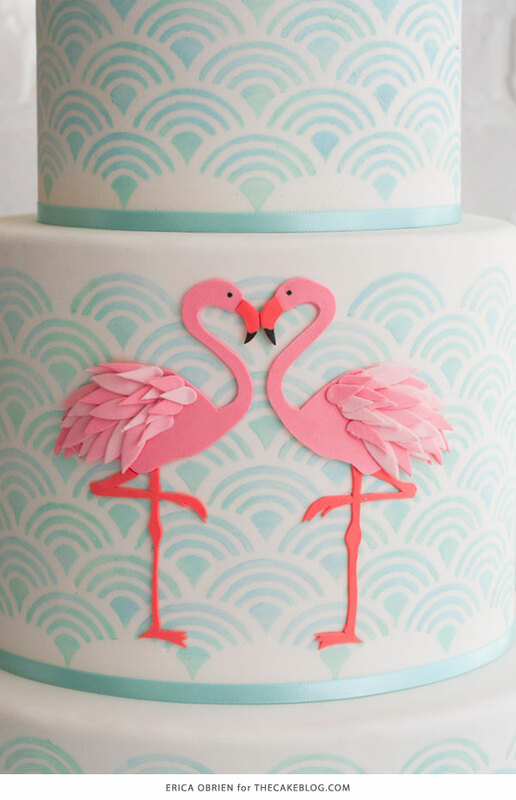 I love this flamingo cake design cake! Wow! Its simple but stunning. This is SUCH a beautiful cake. And the flamingos + gold + patterns are so on trend. LOVE this!! I am trying to recreate this fan pattern on a cake to celebrate my grandmothers 80th birthday. 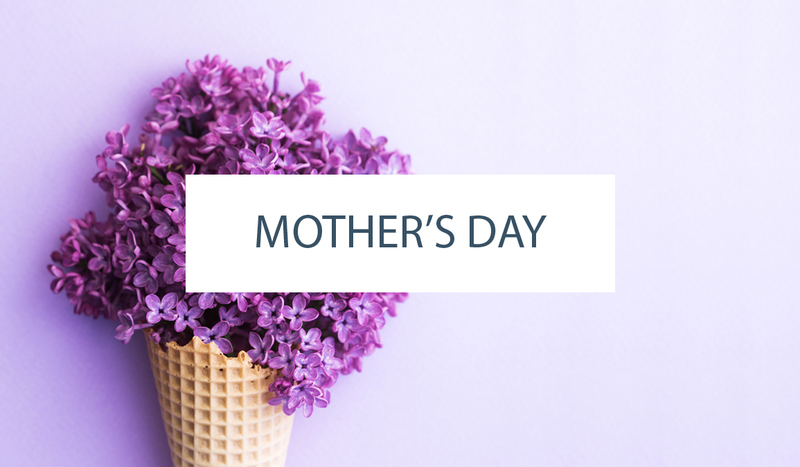 I live in an area where there is no craft store, so I will have to purchase a stencil online. Would you be able to tell me what brand and style name/number of the stencil you used?! i would be so thankful! This stencil pack has one that is similar to what was used on this cake. Hope that helps! Where are the stencil and flamingo cutter from? 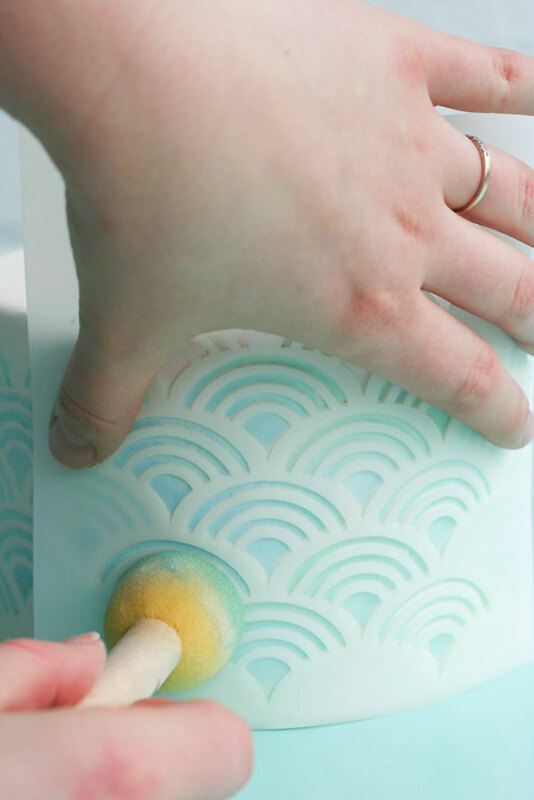 This stencil pack has one that is similar to what was used on this cake. The flamingos were cut out by hand. Where are the flamingo cutter from? The flamingos were cut out by hand.